‘Come the summer months of July and August, I like to spend an evening or two fishing for Mackerel from the shore. My favourite spot for this is on the east side of St Mary’s at Deep Point. No two visits are ever the same; one day you can fish for hours without a bite, another time you can catch a dozen in a quarter of an hour. Either way there always seems to be something to enjoy, be it a distant pod of dolphins or a curious Fulmar passing so close you feel you could reach out and touch it. These encounters are, by and large, unpredictable and fleeting. 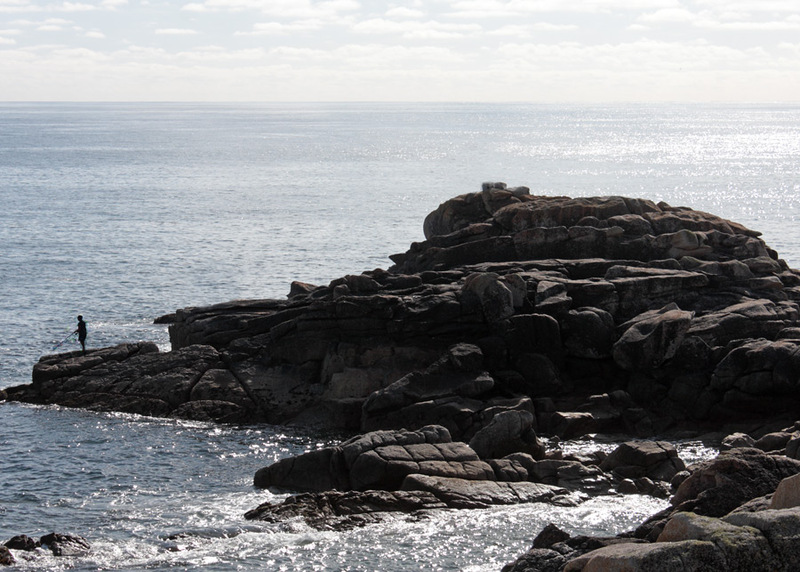 The exposed, salty rocks are not a place to take an expensive camera, and images are captured only in the memory. 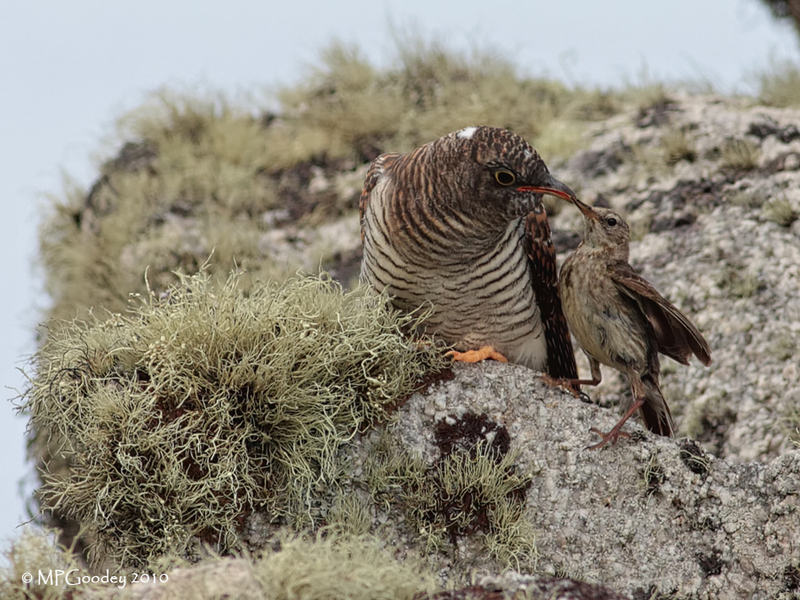 One day in August last year I had finished fishing and was clambering back up when I heard the familiar peeping call of a Rock Pipit. It was perched on a rock and was close enough that even without my bins I could see it had a beakfull of juicy insects. I expected it to disappear amongst the boulders to find its waiting brood, but instead it bravely stood its ground, waiting for me to pass. I reached the cliff top and sat down to watch where he or she might go. To my surprise the pipit flew about 50 yards to my left where it was greeted not by hungry offspring of its own but by a monster! 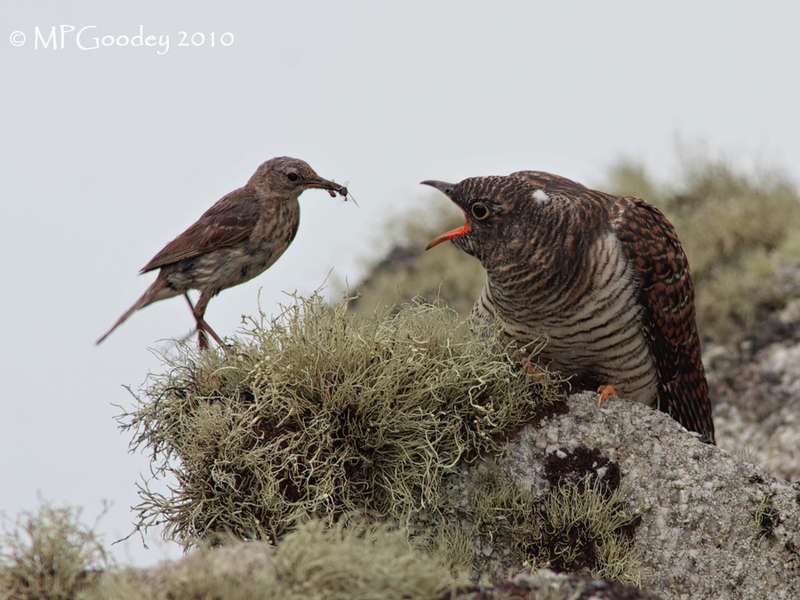 In a wide granite cleft warmed by the late afternoon sun sat a huge, fat Cuckoo. 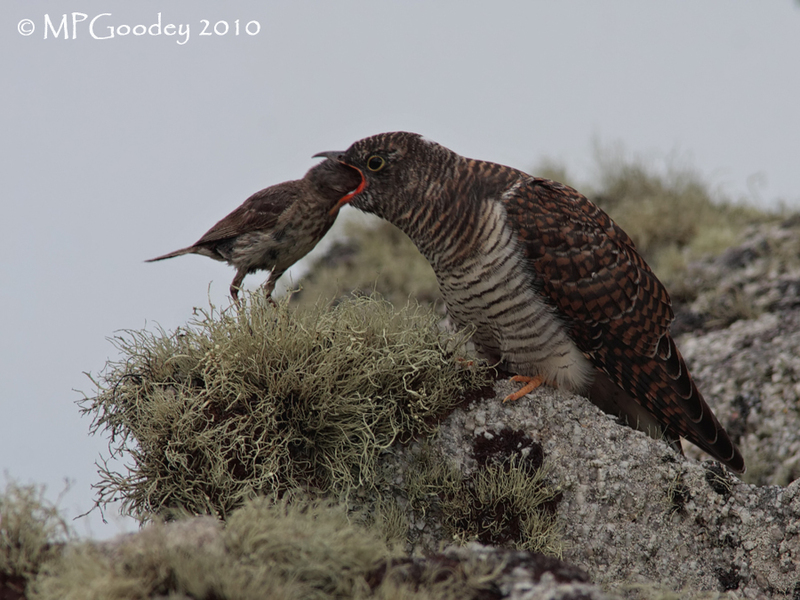 It took me about ten minutes to make the return trip and to my delight the Cuckoo was still there! I took a few record shots from some 50 yards away, and watched as the pipits came and went with food. I was sure they must have been aware of me but seemed unconcerned. With this in mind I started to cautiously close the gap between us. Once I was happy I was close enough without causing any disturbance I settled down and was able to take a series of quite intimate photos. It wasn’t long before the sun dipped below the trees and I lost the light. 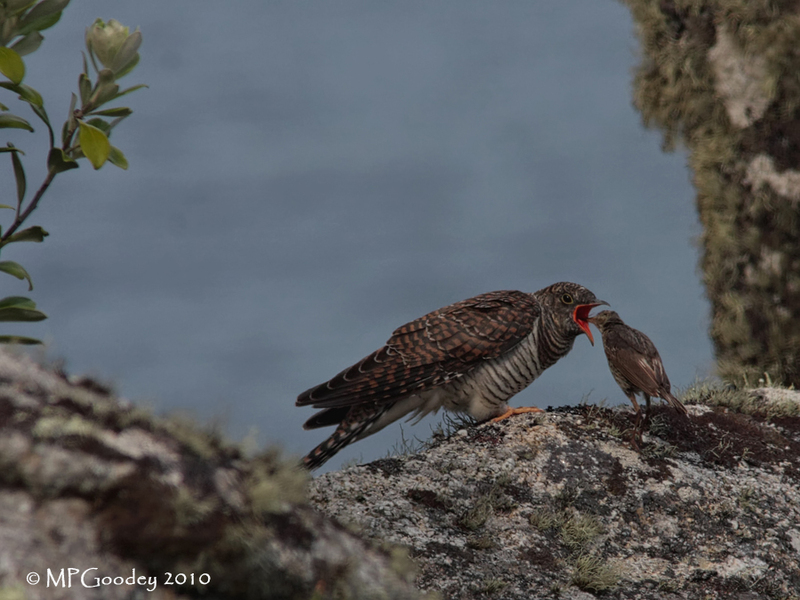 I packed up and slipped away, leaving the well-fed Cuckoo with its doting ‘parents’. I saw them together several times over the following days but never at such close quarters. 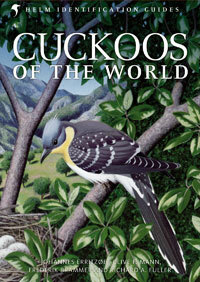 Martin is one of the contributing photographers for our forthcoming Helm Family Guide Cuckoos of the World. To see more of his work, click here.